On the banks of the Nairobi River, this fast-growing metropolis is one of the largest cities in Kenya. The city is constantly growing and adapting, with chaotic roadways, open green spaces, and beautiful natural attractions just on the outskirts. It is a very enjoyable place to spend a few days before beginning a safari! The climate in Nairobi has comfortable, temperate conditions all year. The nights are cool, and the days are warm with temperatures around 20 to 25 degrees Celsius. Temperatures are highest in December to March, while the best time to see migrations are from July to October. The wettest months are April and May, so be sure to plan ahead to get good prices while avoiding the rainy season. There are amazing activities both inside and outside the city of Nairobi for you to enjoy when visiting. The best way to get around Nairobi is by taxi or matatu. Taxis don’t use meters and can be notoriously unreliable. Use a reputable company only, and verify the average cost of a ride with a third party to ensure you don’t get ripped off. Matatus are basically short buses, and they add to the chaos and confusion of the dizzying roadways. But, they offer an easy and inexpensive way to get around. If you aren’t going far, then walking on foot is usually a good option—many neighbourhoods have improving safety for visitors, but it is always best to check with your hotel first. Downtown Kenya offers many attractions such as the old parliament buildings. There is excellent colonial architecture in the downtown area. If you want to learn more about the history and culture, check out the Nairobi National Museum. Looking for some time away from hectic traffic? Spend your afternoon at the lovely Jeevanjee Gardens, or cool off at Africa’s largest ice skating rink, Solar Ice Rink. A visit to the David Sheldrick Elephant Orphanage, where baby elephants and rhinos live, is an incredible way to support conservation efforts and get an up-close glimpse of these playful giants. Find quality souvenirs and goods at the Maasai Market—a huge open-air market filled with vendors selling any number of handcrafted items and local delicacies. Masai Market is only open on weekends. If food is a big component of your travel, you can enjoy excellent Kenyan, Ethiopian, and Indian cuisine in Nairobi. Common local foods include Chai, beans, cornmeal, and chapatis which are a lovely thin, crispy bread. The adventurers can turn their eyes to the horizons beyond Kenya—here you will find the northern face of Kilimanjaro. You can trek up this mountain or the nearby Mount Kenya. The true adventure lies to the west, at Masai Mara National Reserve. If you are in Kenya, a can’t-miss destination is the Masai Mara game reserve. 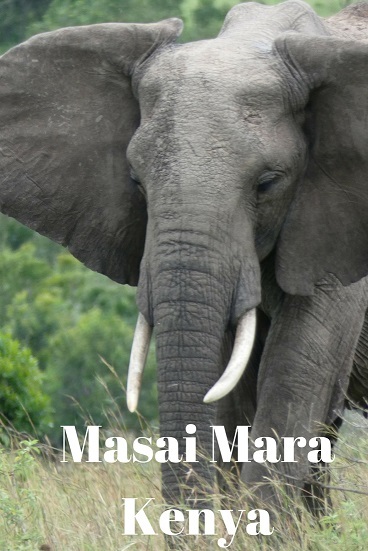 Masai Mara (also known as Maasai Mara or The Mara) is one of Kenya’s largest game reserves. This is a popular destination for those that visit Kenya. About 280 kilometres away from the city centre of Nairobi, the easiest ways to get to Masai Mara are driving and flying. 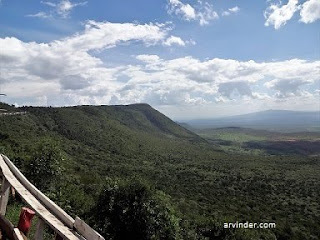 The drive takes around 6 hours along a smooth, scenic road to Narok. After the Narok pit stop, the road gets rougher, with pot holes or dirt roads only. You can rent a 4x4 and a driver for the day to take you to Masai Mara. The other alternative is to fly. A short 45-minute flight will take you over top of the expansive landscape. Many safaris offer chartered flight options. I used African Comfort Zone Safaris. The cost was around 300 USD for 3 days and 2 nights safari, and I recommend them. The Masai Mara area is mostly open grassland, making it an excellent spot for wildlife viewing. There are almost one hundred land animals and over four hundred birds that call the area home. It is an important area of studying wildlife conservation and for visitors to garner respect and appreciation for these expansive natural surroundings. The annual wildebeest migration sees 1.5 million animals coming into the are in July and leaving in November. This is a prime time to visit, and it is common for visitors any time of the year to see the Big Five—buffalo, elephant, leopard, lion, and rhino. Other common animal sightings include zebra, crocodile, baboon, warthog, gazelle, cheetah, and hyena. Out of the Big Five—buffalo, elephant, leopard, lion, and rhino. Saw 4 and the one I did not see is Rhino. The best way to see Masai Mara is with a safari guide. 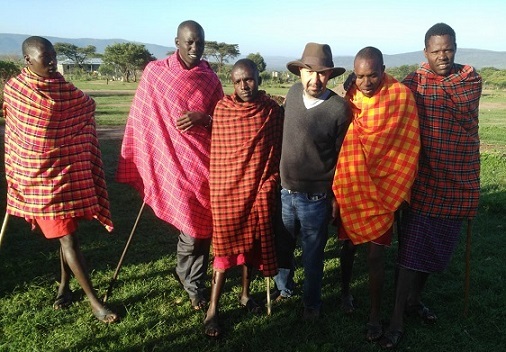 The local Masai people work with certain companies to offer an in-depth and unique view of the animals and the local culture. These guides know the land like no other and are able to provide visitors an authentic experience. Stay at a basecamp, and work your way out from there with your guide on day trips, night safaris, outlying camps, and visits to local communities. Many of these camps are truly world-class retreats where you are treated to excellent local cuisine, and comfortable lodgings. However you choose to explore Nairobi and Masai Mara, it is sure to be a once-in-a-lifetime experience filled with unforgettable sites and wonders. 2 pictures above - The Safari Van driver stopped at Rift Valley view point for some coffee. 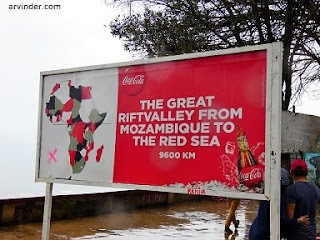 Read more about the rift valley at the UNESCO World Heritage Site Page. I loved reading about your safari adventure. Africa is on our travel bucket list, and I think Kenya would be a great place to take in wildlife and culture. Nairobi has not really entered into my thoughts to travel before but recently I have started looking into doing voluntary programs in nature conversations in Africa and I might have to look into the Nairobi too. I'm sure visiting the Masai Mara village must have been such an eye opener. I've been to Nairobi but honestly didn't spend much time there at all. To be honest, I felt it was a little unsafe. But you are correct that there was so many wonderful things to do just outside the city. I would definitely spend most of my time on game drives enjoying the amazing animals. I felt Kenya is safe to travel to, I met several single females backpacking in Kenya from Europe and USA. Oh, I think the life of locals would be the most interesting thing for me, if I ever go there. I would love to photograph there. How do people react when you take a picture? I spoke with the village chief, he said I could all the pictures I wanted, for a small donation to the children's school. I did give 10 USD for the school. A matatu sounds like an interesting form of transportation. I'd like to visit Nairobi one day, especially to see the Masai Mara and the animals too of course. Lovely photos! Doing a safari at Masai Mara to see the annual wildebeest migration is at the top of my travel bucket list. Would love to also visit Nairobi on my way there. I'm truly jealous of all of your wonderful travels. I'm in an African Literature course right now and we have been focusing on Kenya and I would love to compare what I have been reading about the setting and culture to the actual place. Do you feel like generally travel blogs understand local cultures, or do you think they often get them wrong?